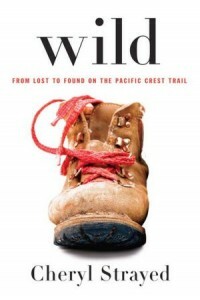 I just finished reading Wild: From Lost to Found on the Pacific Crest Trail, a memoir by Cheryl Strayed. This is an incredible book, a bestseller since its release in March, about the author’s 1,100 (that’s eleven hundred) mile solo hike through California and Oregon. She undertook the hike as a way of coping with devastating loss and her own reckless behavior that had left her life in tatters, and it turned out to be a transformative experience. The memoir is beautifully written, seamlessly weaving Cheryl’s hiking experiences with the events of her past that had led her to the Pacific Crest Trail. She is unflinchingly honest about her pain and her failures; her writing avoids sentimentality, and it never feels like it’s asking for sympathy—things that are often difficult for memoir writers to accomplish. Have you ever thought about writing a memoir of a specific episode in your life? Where are you in terms of apprenticing to the craft and gaining distance/perspective? ← How Does Your Publisher Make Money? Came across this blog post while Googling the title. Thanks for putting down so clearly, Rachelle. I have thought of writing a memoir of a part of my life. In light of the debates going on in the American election right now, this particular part of my life would be totally relatable. It would require a lot of work on my part – I tried to write a post about it & the exercise totally drained me as it chewed up all the emotions I experienced during this period in my life. Doing the writing was like giving birth to my daughter. I’m just clearing an episode now (I think, it’s early though). It’s occurred to me to keep certain emails and journal carefully for a FUTURE memoir. But the perspective part will still be a while. I loved this post! It resonated with me in a few different ways. I agree wholeheartedly with the comments regarding perspective and apprenticing. I am currently writing a memoir. I’ve been working diligently to improve my writing ability and I feel comfortable that now is the right time for me to write it. I can’t wait to check out this book – it sounds great. Thank you for the valuable reminders as well as the reading tip! I’m currently working two books that I am calling memoirs. One covers a slice of my life; I am currently reliving 5th grade. The distance of a few decades is most helpful — and selective memory likely makes things more interesting. The other covers present experiences and for it I benefit greatly by writing immediately with no delays, avoiding the distortions that time can provide. I’ve definitely been apprenticing and I have a little distance from my story, but I probably need another chapter or two before my story can be told, so thanks for stressing this point. My question is how do I know that others would be interested in my story? Ask your friends, Brian. And ask your own heart. Timing, in terms of when to write and release a memoir, is also pretty important. Consider Stephen Ambrose’s “Band Of Brothers”. In telling the story of E/506, he hit exactly the right moment to touch an emotional nerve in America – a realization that it was time to say “Thank you” to the men of a generation that was starting to fade both physically, and in cultural memory. And what a nerve! “Band Of Brothers” spawned more than half a dozen memoirs from E/506 veterans, written through the late 90s and the first decade of the new century, along with several oral histories. It’s become a touchstone for our serving military, and inspired increased respect and understanding among civilians. The point being that in the 50s, the experience was too close, and uninteresting…in the 60s, no one wanted to hear about it because of Viet Nam…in the 70s, the fallout from Viet Nam and Watergate put that generation into some disrepute…in the 80s, well, I guess everyone was watching Madonna’s navel. It took the right book and the right atmosphere for these stories to be accepted at the value they deserve. The other side of this is the perspective we have when we write, which is filtered and modified by the culture of the day. The few war memoirs that came out in the 70s were almost apologetic, and probably had to be, to be acceptable by a publisher. fast-forward twenty years, and the perception is one of a mantle of heroism worn a bit uneasily by modest men. It’s a moving target. I suspect that the only culturally permanent and uncompromising (third person) memoir is made up of the Gospels of Matthew, Mark, Luke and John. Yay Ms. Strayed…a fellow Portlander! I think everybody should write about their memories. Memories can be our greatest teachers in life. Experiences we create today will be our memories tomorrow, and in some ways memories are better than the real thing. Even the ones that hurt make us better. Not everyone hs the heart and skill to write a book, but everyone should write about their lives. Unlike fiction where there is a need to create content, there is too much material to work with when it comes to memoir. What will be poignant to the reader? Who will care? Some of the other comments reflect this. Sprinkling in the right events for a compelling storyline takes time and a good editor. My multimedia memoir took five years to complete. IT is a memory in itself. I call it a memory built of memories because creating it was the hardest thing I’ve ever done (next to marriage!). I love this genre. Giving away a few books on Goodreads if anyone is interested. Thanks for another interesting topic. And, thanks for all the interesting comments since. As much as I enjoy this blog, I admit I look forward to the comments as much. In 2006, I began writing the story of my long-lost first love, set in the late 1970’s. In 2009, at the urging of my sister, I published a few segments of it on a writing website. The grown daughter of my first love somehow stumbled upon the story via a Google search and passed the story on to her mom, who contacted me through the website. Long story short, we got married on October 16th, 2010 – 32 years after I first asked her. When I started writing this memoir, I meant only to get some perspective on why I could never forget the only girl I had ever loved. I never knew it would ultimately lead me back to her. Our story, “Feels Like the First Time,” will finally come out this month. Oh my!! I’ll be looking for it! I was inspired to start writing 6 years ago after the sudden passing of my husband. Prior to that, signing family names (the dog’s too) on greeting cards or firing off emails at the office, was the extent of my writing experience. Putting my thoughts on paper offered a release from the pain and confusion, and a glimmer of peace. My skills as a writer were lacking; I knew what I wanted to say, I just wasn’t sure how to say it, so I signed up for a Personal Essay Writing course at the local college. In addition to the technical requirements of writing that my instructor shared, she suggested that I not focus my stories on my husband–the pain was too raw, not possible to be objective. I took her advise and started laying out stories from my childhood, than tucked them aside when the course was finished, pleased with my progress, but knowing I had a long way to go technically and with “finding my voice”. My love of writing has not diminished since taking that course, it has grown stronger and become a part of my daily life: taking more writing courses, blogging, writing about moving to a Caribbean island on my former website, writing articles for various on-line publications, a 300 page novel–big learning curve there, writing at my new website. And now I’m writing the memoir, but not about my husband or becoming a widow. The stories I wrote in that Personal Essay course six years ago have been patiently waiting to be developed. I’m co-writing a memoir with my mom about her being in and out of mental hospitals for the first nine years of my life: the (manic)adventures we went on, our unfaltering love and commitment to each other, and how we came out the other side of mental illness better for it. As for writing a memoir about my husband, well, I know he’d prefer a comedy, so that story (thanks to the freedom of a vivid imagination, a hint of technical writing skills and life experiences to utilize) is also in progress, but as a novel: When Arthur died, Lizzie wasn’t ready to say goodbye, and neither was he. Married life for Arthur and Lizzie is pretty much the same as it always was, with one big difference of course–he’s not alive and she is, and after more than five years of this new arrangement, it’s time for Arthur to go–he’s starting to get on Lizzie’s nerves. Great question & one I’ve pondered many times over. Recently, it has been mentioned to me by multiple people that I should write one. My story is somewhere between The Glass Castle & A Child Called It. I am able to step far enough away to view my childhood objectively but feel that I am still in adolescent stages of my craft. The main worry I have is that though I can view my life objectively, when is it okay to write something that reveals so many pains and secrets? I have chosen to have a relationship with those that hurt me. Basically, I recognize their illness and have chosen to overcome the past. Since I have a relationship with them I feel that I shouldn’t hurt an already fragile state by essentially revealing their inner most secrets. I am not sure I will ever write a memoir because part of healing is also forgiving. I am not sure where a memoir fits within the healing. I have often come to the conclusion that should I ever venture there, it will be a long time from now. Michele, I can relate to your situation – and given what you said about the current relationships, I would never, ever write it down for anyone else to see. It sounds like a fragile flower is growing from the ashes of your past – a flower that will gain strength and beauty as the years go on, and will one day glow with a vibrancy that will utterly transcend the tragedy of path on which you were placed. Cherish that flower, please, and keep it safe from harm. The grace you live is an inspiration to me. Michelle, have you read The Memory Palace by Mira Bartok? She chose to write her book after her mother, who was mentally ill died.It is the story of an impossible childhood skillfully told. The writing is stellar and evidences much reflection. How else do you make sense out of such a mess? I used to teach middle school and had a very difficult class of low ability readers. One of the girls devoured A child Called It. It was the first book she ever read by herself. That is so nice, and so appropriate when looking back on tumultuous times. Great quote! I learned the value of this advice when I tried to write about my father’s childhood in the backwoods of Florida in the early 1900’s. They were wonderful stories, but I just couldn’t make them “right” until he had been gone for about 5 years. Then, I recollected them in tranquility. Now I love reading them. A friend quoted this same bit from Wordsworth after she read the first draft of my memoir about a traumatic period of my life teaching in a poverty middle school. I see now that the first draft was cathartic rage and pain. Now I am on my third major draft, and with the help of a weekly writing group, not only has the caliber of my writing improved, but also the depth of its message. As many have said, it is much more about the freedom of forgiveness and the refining power of suffering. You sound like a very wise woman. I, too, have taught in middle school…nuff said. Now that is suffering. Thomas Wolfe said it is not the blows we give that make us, but those we take. Best wishes to you on your writing. I’d be happy to be another eye on your writing if that would help. Thanks for the book recommendation. I looooooove memoirs–especially ones about people doing crazy things. I’ve heard nothing but good things about this book and am looking forward to reading it. As for my memoir, I have an outline and a few parts written, but I’m not fully in a place where I’m ready to write it. I’m not forcing myself to write it before its time either, like I do with fiction. It’s been 31 years since my wife and I moved to Saudi Arabia; 30 since we accidentally got separated on a train trip in Europe, she with the kiddos (ages 3 and 1) and luggage and me with the money and tickets; 29 years since we toured China, 25 years since we moved to Kuwait; and 22 years since Sadaam Hussein told us to go home. So far I haven’t felt led to write a memoir. While it was much excitement for me, my wife, and our two young children, I’m not sure anyone in the world will care. But I’m going to turn our China tour into a spy novel. I’m going to turn our many other travels into a series of short stories, again with an espionage theme. I don’t know that the world will care any more if they are fiction than memoir, but the fiction seems better to me. Sounds like a pretty interesting story, to me, David! The only thing better than a good novel is a good real-life story that keeps me turning pages like a novel. SO not worth the effort it would take for the catharsis to be reborn and then expunge itself. If I don’t write the memoir, I still have the memories of the Great Rollercoaster Ride of the ’80’s. ALthough I can promise the entire free world, I will never ever allow any of my children, or anyone I love to go anywhere near a person with the initials…oops, like I’m going to even go down that road. Perhaps when the memoir is too painful, the writer can draw upon the emotions like an actor. I wonder if those who write with the most depth do so because their stories metaphorically reflect their past. Without soundly maudlin and overly-self absorbed, I think I have a handle on how to express regret and disappointment. I know, at times, my voice can be rather humorous, but it’s because I know exactly how to deflect from what needs to stay in the dark. Those who want to stay on the lighter side of life may occasionally dance on the edge of a deep dark hole. That’s quite true, Jennifer. The biographies of many great comedians echo that sentiment. You do a good job of putting the spectrum of emotions on paper. There’s a deep well from which to draw. There are definitely loads of deaitls like that to take into consideration. That may be a nice level to carry up. I supply the ideas above as general inspiration but clearly there are questions just like the one you carry up the place the most important thing will probably be working in honest good faith. I don?t know if finest practices have emerged around things like that, however I am sure that your job is clearly recognized as a good game. Both girls and boys really feel the impact of only a second’s pleasure, for the rest of their lives. I’m currently writing a memoir of a specific season in my life. In terms of gaining distance and perspective, I’m working on fine tuning the proposal and manuscript/sample chapters. When I write, I’m giving myself permission to give the words the time and space needed to develop. I believe it is important for me to give it a place to process, so it can also teach me any additional lessons I need to learn. As for apprenticing the craft, I’m learning as much as I can about the publishing industry as well as building a platform. I’m also involved in a writers critique group and a Toastmasters group. Rachelle, this is such a great question. And as you know, I wrestled with it. I wanted to write my recovery memoir YEARS before I was ready. So I did a lot of writing prematurely–hundreds of pages, in fact. LIttle of it made it into the memoir, but in a sense all of it was important to the memoir eventually. I was practicing there, learning how to articulate my experience, not to mention how much it helped the cathartic process. I had some craft but lacked perspective. The good news is that God wouldn’t seem to let me give up–even if he was perfectly content to make me wait. I choose to believe that all those versions were necessary and the impulse to write them was not wholly bad. Some in recovery joke about how every newly sober drunk wants to write her story. I agree it’s kind of funny, but it’s also kind of beautiful and good. I think it’s a redemptive impulse–and while surely some ego is involved, and catharsis too, it’s also a sign that a person wants to put their pain to purpose. They’re so excited about what they’ve discovered that they’re anxious to share it, which is never a bad thing, I suppose. Thanks for this post, Rachelle. I hope lots of people see it. And read Wild, too! Heather, your perspective is so valuable and true! Yes, I agree, many would-be memoirists will need to spend years “journaling” before they find the actual story, and figure out how to tell it. You’re a perfect example! The years you spent mastering the craft and finding the heart of your story truly made your book amazing. Those are two very astute observations! Love this post! Especially the part about gaining perspective. There are so many things in life that right afterward, they feel one way, but years later, you can see the impact and what you learned even clearer and deeper. I have considered writing a memoir, but I do think that studying the craft would be essential first. I can certainly tell my own story, from my own point of view, but that would be only a part of the story. There are many around me who have influenced me, altered the course of my life, and would be affected by my story. My story is one that would have other voices — others to give their point of view also — likely a memoir of many. In my case, it will take more thought. For now my intention is to stay with fiction. About 12 years ago I began writing my memoir at a writer’s seminar. As a vry private, reserved woman, I found the experience incredibly exhilirating/torturous/enlightening/difficult/fulfilling,etc. Initially, since my approach to life tends to be finding(hiding behind)humor in most everything, I found I was avoiding the most crucial, life altering incidents in my life. Once past this relunctance to share, I let loose with my words and finished the manuscript, which is now circulating in nyc. As most know, words from the heart and to the best of one’s knowledge, are crucial in poignant memoir. Now I wait, and wait. And patience, I am told, is a virtue. To distract myself I now write a blog–isitfunnyorappendicitis–which is fun if not profound. The exercise helped me see my experiences with a more detached perspective. I wouldn’t trade what I learned for anything. When I was finished with it, I asked my husband and a few trusted friends to read it and was encouraged to seek publication. I met with an agent at a conference, and he was very discouraging. I’ve since learned that that particular agent doesn’t like any memoirs. No matter–I didn’t want to publish it anyway, so I put it in a drawer, where it has remained since. I think my point is that sometimes we’re writing for our families. And sometimes we’re writing, as Terry Burns is fond of saying, for an audience of one–ourselves. I think I’m always writing memoir, even when I’m making things up. It’s very hard for me to get away from my own life and experiences. Maybe I need to get a memoir out of the way in order to free myself up for other kinds of writing. I began writing about the adoption of my daughter soon after bringing her back from Uganda and spent three years on the manuscript. But it wasn’t until putting her story away and spending a half dozen years writing other projects that Ruth’s story became much more than an adoption story. The manuscript I am now finishing is about the dreams God gives us and what happens when we fail. A much more moving–and heartbreaking–story. I have written and published a book called, The Red House: Almost a Memoir. It is not strictly a memoir hence the “almost.” It is selling quite well and was a whole lot of fun to write. I recommend newbie writers start off writing about interesting aspects of their life, not necessarily for publication but for learning how to write. Doing so will free them from having to conjure up characters, plot, setting, etc. and just focus on the writing. Good advice, Charmaine! So often we think we have to write for publication and as a result, we “choke” and never get around to writing anything (at least I do!). Giving yourself permission to write just for the sake of getting our thoughts down can teach us just as much, maybe more, about our craft. So my kind of book! Can’t wait to read! I got a lot out of Krakauer’s Into Thin Air and this seems like that kind of arduous journey, but with a woman doing the exploring this time…making it all the more appealing for me. I flirt with writing memoir every so often. It’s one of my favorite genres to read. But honestly, no, I’ve yet to reach the perspective I’d need to in order to capture the slices of my life the way they deserve to be written. Thanks for posing these questions about memoir writing ,Rachelle. After three years of studying my craft and many years before that of journaling and writing vignettes, I have finally found the heart of my story. Being far enough removed from my life events has helped me to write from a position of healing and forgiveness. It has also enabled me to weave in the lessons learned that I hope will be meaningful to others. Connecting with my purpose for for telling my story and having a deep-in-my-core belief that I have a story worth telling have been essential in staying motivated. I have found that memoir writing is a journey that requires persistence, honesty, courage, reflection, discernment and a sense of humor. Reading memoirs has been an important part of my learning process. I agree, Cheryl Strayed shows us how it’s done in Wild. Writing a memoir that reads like a novel requires commitment, persistence and time. And I agree with Barbara’s question -is an apprenticeship ever done? Probably not but I do think the point comes when you do all the prep work and then just go for it. I’m at a writer’s retreat in the Poconos and someone mentioned this book last night. I’m on my way today to a post-grad writers conference in Vermont, still continuing to apprentice myself to the craft. I’ll be workshopping memoir. It’s true, I would not have the perspective I now have of a 2008 trip had I written this piece immediately afterward. BTW, I’m not sure the apprenticeship is ever done. Hi Barbara, I agree, the apprenticeship is never done. I have written 2 novels, yet sometimes when I start a new piece, I stare at the page and feel like I do not have a clue HOW to write. Rachelle, funny that this is today’s topic because just last night I mentioned to my husband that my mother’s memoir is the one I wish I could write. Amy Tan wrote her grandmother’s memoir. The Bonesetters Daughter. Facts somehow transposed into a parallel fictional universe. Thanks for the post. As far as my own memoir, or anything I’m writing, I’m just now starting to feel I’ve studied the craft enough to start writing things that are worthwhile. It’s been six years of study/practice, study/practice, study/practice. As it pertains to perspective, what I can say is thank goodness I waited. Had I started writing a memoir ten or even fifteen years ago, all that would have come out is anger and pain. And it would have been poorly written. It would have been one dimensional, boring, and simply awful. “One dimensional” is a good way of saying it. The depth of reflection ripples every which way. Interesting insight, and I think true for most people! If you write it too soon, the anger and pain might come through but not much else. Fascinating post, which is very true to my own experience. My own memoir came out in 2011 and is set in the early 90’s – I had thought for a long time about writing it but needed to grow as a person first and I feel that the book really benefited from the time I gave it to grow in the back of my mind. My second book, which comes out next year, goes back even further in time to the 1980’s. I have had other more recent experiences which I could write about, but I certainly don’t feel ready to write about them yet – I think it takes a good ten years. I think an alternative, which is to write about things immediately – a book of first impressions if you like, is also possible and has its own virtues, but is a very different kind of writing. When life hands you a rubber room, practice gymnastics. I agree, the first impressions are a different book than the actual memoir that contains the reflection and perspective of years. Wow. I think these two points can be applied to all writing genres, don’t you? And there’s almost always a broader perspective when you’ve given yourself the time to stand back and really study the scene, to broaden your scope, to learn the craft. Nicely said, Cheryl. Thanks for the post, Rachelle. That Becky, such a smart girl! And nice too! I’m a new writer, unless one counts twenty five years of sermons and a few dozen sketches for traveling comedy/drama groups. So I’m learning as I write and developing every day. I am a better writer than I was two years ago and plan to be a better one in a year. If this was a twenty-six mile marathon, I’d say I was at the five mile marker catching my second wind. Either that or I’m just breaking it to see if anyone notices. …And a few dozen sketches! Writing is all about communication. Sermons are a very challenging form of communication. Writing an effective sermon is, on the face of it, one of the hardest writing jobs around. You have limitations of doctrine, time, and audience expectation that are daunting. One thing you may try is using the sermons as the basis of a spiritual memoir, that describes your walk with God. That’s an interesting idea, Andrew. In order to help build platform, perhaps I should condense some sermons into a free devotional book. I could place it on Amazon and any other site that will let me upload it. Oh, yeah! All sorts of rules. But they all really boil down to effective communication within a given medium. I do a lot of technical writing, for which the rules are quite different from creative writing. Blogging is vastly differnet from writing a book, both in terms of recognized rules and in terms of number of words one can expect a reader to digest before abandoning the effort. In regard to Andrew’s suggestion, you should give it serious consideration, PJ. My, thus far, one-and-only book started out as simple a series of Sunday School lessons. When people asked for my notes, I started cleaning them up, and decided to put it in book form and self-publish it. Holy frijoles PJ, you have a way with words that I ENVY!! I know I echo alot of other’s sentiments when I say tyhat I look specifically for your name when I crack open this blog. You, sir, ARE a writer. And your memoir would be a good read!! Thank you Jennifer. By the way, you’ve been missed. But ya see, yelling at a camp for the deaf is pointless. So I had to wait til hubby got the code from the director. Once I got that, I clicked my ruby slippers together 3 times and sang “there’s no place like…wherever I can get wifi.” and here I am. Perhaps bridge section between the sermons, like lights over the pictures in an art gallery? As for my own memoir, I’ve been told that I just ‘have’ to write one, about several periods in a life that was rather more eventful than I would have wished. I’m not sure I have the perspective – and there are some things for which no perspective can be obtained, ever. I don’t want to. I don’t want to relive even one of those ‘interesting’ days. I have a huge amount of respect for people like Eugene Sledge (“With The Old Breed On Peleliu and Okinawa”) and William Manchester (“Goodbye Darkness”), because they had the courage to step back into a past that is simply unimaginable when viewed from the comfort of Now. They had the strength to mold what they lived into living words, that sear your soul when you read them. We don’t have an accessible record of what the process did to either man. I can’t fathom what it took, living in the dichotomy of past and present while giving birth to the witnessing of their days. I just know that I can’t do it. Looked at your blog yesterday, so I know that you can write. Just now, you can’t do it. When the time is right, you’ll have to do it. That’s what scares me – I did some thinking after putting up this comment, and expanded on it a bit in my own blog post. When Manchester wrote “Goodbye Darkness” he lost touch with the young man upon whom a terrible responsibility had been lain, over thirty years before. It’s hard to imagine anything lonelier. Andrew, there may come a time when revisiting those memories is both healing and necessary. Then you should journal what you can, and leave the writing of a biography to someone who “gets” you and cares enough to not lighten the dark holes with apologetic gloss and who knows enough to leave out what is too much for you to dredge up, even in the bright light of now. That writer should be someone who has enough respect for you now to back away from any right hands in the air and love you enough to wait til you, and anyone else involved, is ready and willing. Someone who’s like a sibling or eternal friend. They say life can be an inspiration or a cautionary tale – mine definitely falls into the latter group! And there are things that shouldn’t be lost. Partly that’s ego – but only part of it. I know there are others who as children who didn’t turn a corner in their own home without doing a ‘shadow check’, to see if the way was clear. You can survive the memory of that kind of childhood. Those of us who did are honor-bound to help, if they can. A very telling phrase, isn’t it? Wait til you’re ready and then hire out a good ghost writer who works for room and board and the occasional trip to restaurants who serve really awesome pancakes. Well, I can make really awesome pancakes. There are ghosts like that, out there. Sean Parnell worked with John Bruning to write “Outlaw Platoon”; Bruning wrote an afterword to the book that showed the depth of his involvement with what had originally been a writing project, but became so much more. After cutting up dead bodies with a chainsaw to get to those still alive under sixty tons of concrete and steel, my uncle oscillated between comatose stares and hyperventilating bouts of sorrow. As part of his therapy, the fire department psychologist assigned him to a journal on random thoughts. This cathartic outpouring later became his memoirs. On the thirtieth year anniversary of the event, readers were able to read of his trauma and recovery. I don’t want the pain necessary to write what he wrote, but I’m glad he put it into words. He taught me about grace, resilience and hope. Your memoirs may well do the same for others. Sometimes writing can be cathartic, but catharsis can be a dangerous tool when not carefully monitored. John Shea’s, in “Ulysses in Viet Nam”, cited a study which indicated that psychotherapy that purposely induced emotional catharsis had the downstream effect of an increased risk of suicide. But on the other hand, if one can make it through the process a precious legacy is created, as your uncle’s story shows. There IS resilience, grace, and yes, Faith, accessible at the root of every experience. Every experience. As possibly the most extreme example, Fr. Maximilian Kolbe volunteered to take the place of a stranger when a group of prisoners was selected for execution in Auschwitz. He took being his brother’s keeper to the wall, and has walked through that wall into the hearts of all that know his story. Your uncle has done the same. Andrew – your thoughtful comments on this topic are intriguing. And you seem to know yourself pretty well on this point – and you know the power (both dark and light versions) of writing. I suspect you’ll also know when (or if) you get to a point where you can or need to go further. Cheers. P.J. – what a wonderful story about your uncle and his sensitivity… and a burden no one should have to endure. Bravo. When to write the darn thing…interesting question. Charles Lindbergh wrote the classic “The Spirit of St. Louis” about his 1927 flight from New York to Paris in the 1950s, and the book is a masterpiece. The flight is described in some of the most lyrical prose with which flying has been blessed, and Lindbergh creates a wonderfully evocative picture of the Upper Midwest in which he came of age. And yet…months after the flight, he wrote a book that’s almost forgotten now, called “We”. It’s a rough and juvenile effort, with none of the haunting description of solitary flight through a high and lonely sky. But what “We” has is the visceral reality of the risk, and the depth of his relationship with a machine which transcended wood and steel and fabric to take on unexpected and undeniable life. “The Spirit of St. Louis” is the story of a life, and “We” is the story of a love. We are lucky to have both.